When do you need to transition your certification? And how? Packers supplying major retailers need to be aware of the 2018 HARPS transition timeline. 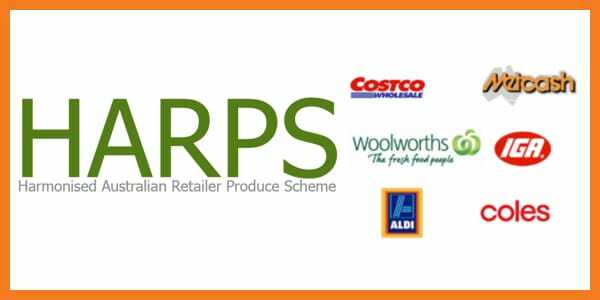 Australian packers or direct suppliers for Coles, Aldi, IGA, Costco Wholesale, and Woolworths will be expected to transition to the base scheme plus HARPS by 1 January 2018. Growers and indirect vendors need to be aware of the 2019 HARPS transition timeline. For indirect vendors, Australian retailers participating in the HARPS arrangement will no longer accept Codex HACCP after 1 January 2019. Indirect vendors will be required to transition from Codex HACCP to one of the approved GFSI base schemes. Growers that are already certified to one of these three base schemes will not need to change their certification. For more information visit the HARPS website or the Freshcare website.